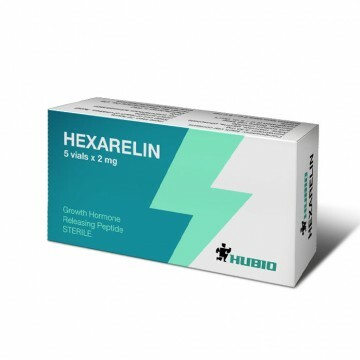 Hexarelin stimulates the secretion of endogenous hormone by acting on the hypothalamus and pituitary gland. High popularity of the peptide is based on the fact that it is effective and does not cause side effects, due to this many professional athletes chose it. reduces the level of bad cholesterol, etc. 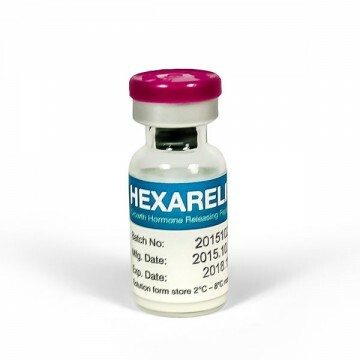 Hexarelin like most other peptides is administered by injection three times a day. The dosage is 1-2 g per 1 kg of body weight, the maximum allowable dosage - 3 micrograms per kilogram of weight. Duration of the course is designed for 3-4 weeks after which you need to make a break for 2 weeks, if necessary after a break you can repeat the course from the beginning. The first injection is advisable to be made in the morning before meal, all subsequent intervals of four or more hours, two hours after a meal. 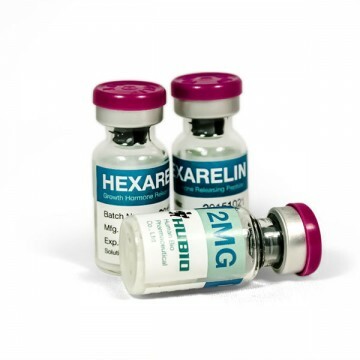 Hexarelin course can be hold, both solo and combined with other peptides. The high efficiency was noted when used in combination with glutamine, arginine or GABA. Before application take the bottle out of the refrigerator and heat the powder to ambient temperature and then gently push the special saline or water, do not shake the vial. Injections are made with insulin syringe, most often in the abdominal crease. 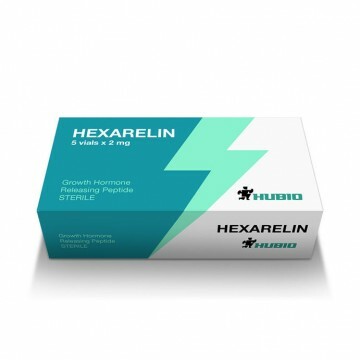 Reviews of Hexarelin are positive, the peptide has proved popular among athletes, the drug does not cause side effects and has a lot of positive effects.